Strictly Seattle is a complete immersion to the Seattle dance scene. Five adult programs inspire beginning through professional level dancers with rigorous physical and compositional training in a challenging and invigorating environment. Participants develop a new work in collaboration with Zoe Scofield (Professional), Pat Graney, Bennyroyce Royon (Advanced) or KT Niehoff (Advanced Dance Film Track), Jody Kuehner or Shannon Stewart (Intermediate), Rosa Vissers or Bryon Carr (Beginning). New at Strictly Seattle 2014! An Advanced Dance Film Track with KT Niehoff with mentorship from local cinematographers + film editors and an Afternoon Adult Beginning session with Rosa Vissers. The studio showing will offer a glimpse into Bennyroyce Royon’s artistic and creative process with a preview of his new contemporary dance works. There will be a Q&A with Royon + his dancers facilitated by VDC Artistic Director Tonya Lockyer. Music by Nicolas Jaar, Son Lux, Kangding Ray, Glenn Miller + His Orchestra, Performance by Kyle Johnson, Britta Joy Peterson, Lorraine Lau, + Fausto Rivera, Video Design by Rodrigo Ribeiro. All proceeds support Velocity’s A.I.R. + Creative Residents programs. Seattle dance artist Dylan Ward presents the newest incarnation of his hit Next Fest NW 2013 premiere Melody Nelson. Direction and Design by Dylan Ward, Lighting Design by Evan Anderson, Performance By Britta Peterson, Jan Trumbauer + Kince de Vera. JULY 25 Patron ticket holders are invited to a sparkling, opening night pre-show party at 6:30PM. Nibble on delicious macaroons, sip champagne, and get to know Strictly Seattle dancers, choreographers, and faculty! Strictly Seattle participants perform new works by Zoe Scofield + Pat Graney + Bennyroyce Royon + Jody Kuehner + Shannon Stewart + Rosa Vissers + Bryon Carr + New shorts from KT Niehoff’s Dance Film Track. Strictly Seattle is a forum where dancers can meet and work together, forming alliances for future collaborations. 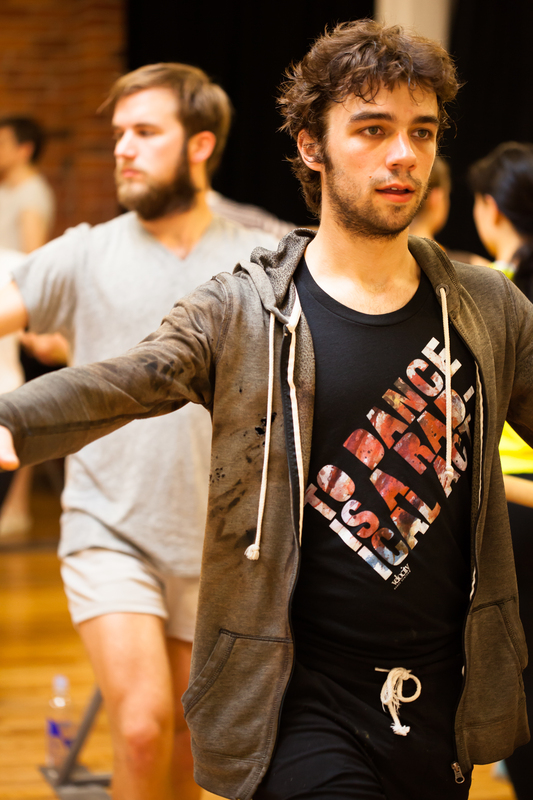 Strictly Seattle intensives fill up! Reserve your spot or register today. RESERVE YOUR SPOT Call the Velocity Office at 206.325.8773 to reserve your spot in Strictly Seattle for $60*. Full payment must be completed by July 6, 2014. MAXIMUM VELOCITY Register for both Strictly Seattle + SFDI and receive a 15% discount. Full payment must be completed by July 6, 2014. Click here to see the Strictly Seattle 2014 Schedule! The advanced Dance Film Track with KT Niehoff is full so we’ve added a special section for auditing filmmakers. Make your own dance film with mentorship from some of Seattle’s award-winning directors, cinematographers + film editors. Auditing students participate in classes, hands-on training, and software tutorials without having to take daily dance technique classes. The 4-hour film shoot with a professional cinematographer is also not included. This track is ideal for people who already have a project and/or footage to work with and who are looking for space, time and mentorship from local filmmakers. The Dance Film Track is co-produced by Velocity and KT Niehoff / 10 degrees. PROFESSIONAL + ADVANCED SESSIONS are for dancers at an advanced to professional level of training. 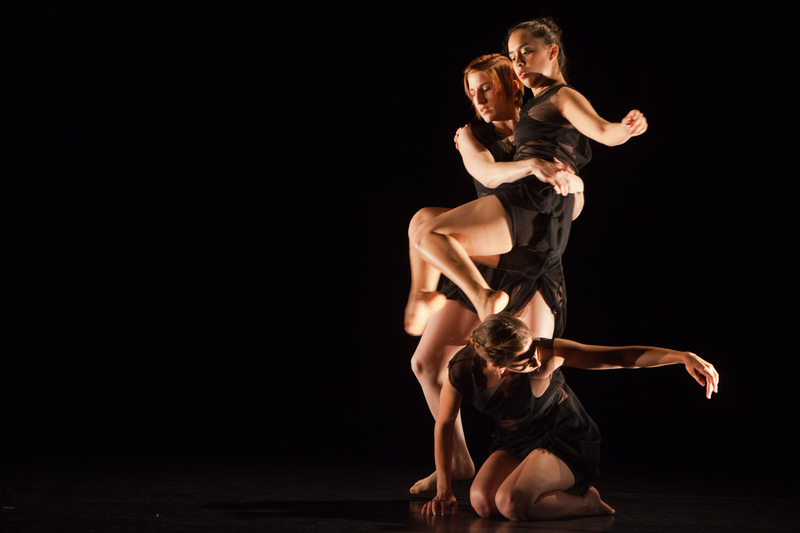 Dancers in the Professional or Advanced Sessions develop a new work in collaboration with one of three choreographers. 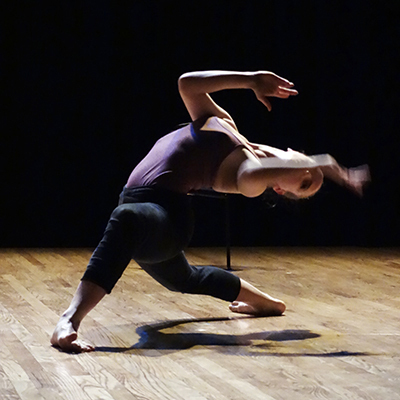 Highly-challenging technique classes include contemporary dance practice, ballet, partnering, improvisation, creative process and related techniques. SOLD OUT! Call 206.325.8773 to be added to the waitlist or consider registering for Intermediate Session. Audition Sunday, July 6th from 2:30-5:30pm at Velocity to determine placement. ADVANCED SESSION — DANCE FILM TRACK This three-week immersion takes the dance filmmaker through every step of the process as they create their own short dance film. Participants take Advanced technique classes in the morning then work with filmmaker/choreographer KT Niehoff and a professional cinematographer, composer and editor to learn the necessary elements of creating a film – sound and choreographic elements, storyboarding, location scouting, styling, and rehearsing material through the perspective of the camera’s lens. Each student will have the opportunity to shoot their own film to be screened at Strictly Seattle Performances. The Dance Film Track is co-produced by Velocity and KT Niehoff / 10 degrees. INTERMEDIATE SESSION is for dancers at an intermediate level of training. Dancers in the Intermediate Session develop a new work in collaboration with one of two choreographers Jody Kuehner or Shannon Stewart. Technique classes include contemporary dance, ballet and related techniques. ADULT BEGINNING SESSION is for those with little or no previous dance experience. Dancers in the Adult Beginning Session develop a new work in collaboration with choreographer Rosa Vissers or Bryon Carr. Classes include contemporary dance, ballet and related techniques. Maximum Velocity is a world-class summer program bringing together Strictly Seattle + Seattle Festival of Dance Improvisation (SFDI). Register for both Strictly Seattle + SFDI and receive a 15% discount! Includes the Professional/Advanced, Intermediate or Beginning Strictly Seattle Intensive and The Entire SFDI 2014 Festival Package. Join us opening night of Strictly Seattle for a sparkling, pre-event party celebrating MVP’s (Monthly Velocity Partners) + Patron Ticket Holders. Nibble on decadent bites + get to know Strictly Seattle choreographers + faculty and Velocity community members. For Patrons, this is an opportunity to become an MVP – $30 of your ticket will apply to the first month’s dues as a Dance Advocate MVP. This is your chance to dive further into topics specific to dance artists. All Lunchtime Talks are FREE + held in Velocity Founders Studio 1621 12th Ave. Strictly Seattle offers contemporary dance technique, partnering, improvisation, creative process, contemporary ballet, and somatics with some of Seattle’s best teachers + choreographers. Housing with other Strictly Seattle students is available in nearby dormitories. Just a quick short walk from Velocity studios at Cornish College of the Arts Residence Halls! Strictly Seattle 2014 Housing Application STILL NEED HOUSING? YOU STILL HAVE A CHANCE. $60 LATE FEE APPLIES AFTER JUNE 23. Have questions? Need more info? Contact kim@velocitydancecenter.org. Strictly Seattle is made possible though the generous support of the National Endowment for the Arts, 4Culture, ArtsFund, The Seattle Office of Arts and Culture and The Paul G. Allen Family Foundation. The Dance Film Track is co-produced by Velocity and KT Niehoff / 10 degrees. *$60 non-refundable deposit is built into all Strictly Seattle level and track prices. This deposit serves as the place holder within the program. All paid tuition (not including the $60 deposit) and housing fees will be refunded in full only if written notice of withdrawal is received on or before 60 days prior to the beginning of the intensive (May 6, 2014). Between May 7, 2014 and the July 6, 2014 all paid tuition (not including the $60 deposit) will be refunded for medical reasons only. A signed note from a doctor is required. Dorm fees will be refunded in full. After the program begins, July 6, 2014, tuition and housing fees will not be refunded for any reason.